Seed dormancy is they way seeds postpone germination until conditions are favourable for survival. Seeds normally need a combination of adequate warmth, moisture and air to germinate successfully. 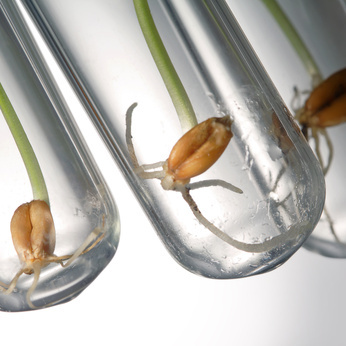 Many plants produce seed in the latter part of the growing season and conditions for germination may be ideal. Unfortunately, newly germinated seedlings may not be able to survive the rigours of winter and be lost. Plants are programmed for survival and dormancy is a way germination can be put off until spring. Dormancy can be controlled by conditions or by the seed. If the three main conditions of temperature, moisture, air and in some cases, light, are not met, the seed will not germinate. Some seeds may have another condition which may be due to the seed coat or to some inside factor. When the coat of the seed is hard, water and air may not be able to penetrate. The seed coat can be altered by damaging, usually by scratching. We call this scarification. In nature, this happens by freezing temperatures or microscopic life breaking down the seed coat. Some seeds need to pass through the gut of an animal to be altered in this way, another reason for ‘attractive’ fruit. Many tree species remain dormant until forest fires pass through, others may have a greasy, waterproof coating that needs to be broken down. We are able to do this artificially. Commercial growers scarify seeds by placing them in a bath of sulphuric acid, though for us, vinegar is safer and easier alternative. We can also rub seeds with sandpaper, chip with a knife, crack them with a hammer or drop them into boiling water. Scarified seeds should be planted quickly as they do not remain viable for long. The other form of dormancy is controlled inside the seed and is broken by stratification. Many vegetable seeds lose dormancy when stored dry and no further treatment is needed. Some seeds need to be either chilled or warmed. Those needing cold stratification can be placed in sand or peat and stored in a refrigerator. 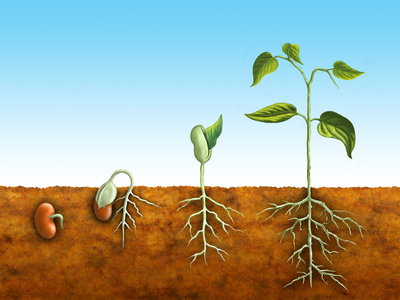 Some seeds show double dormancy, needing their seed coat breaking down and a period of stratification, in the correct order, otherwise germination will not take place.